Is it really Miracle Murad Skincare? Murad Skincare. Heard of them? No, I hadn’t either until we attended the Murad event launching this new-to-us beauty brand in House of Fraser at the Metro Centre, Gateshead. First things first, there were lots of the usual claims pronouncing the actual and real difference these products would make to our skin. (I’m jaded. I need skincare evidence). 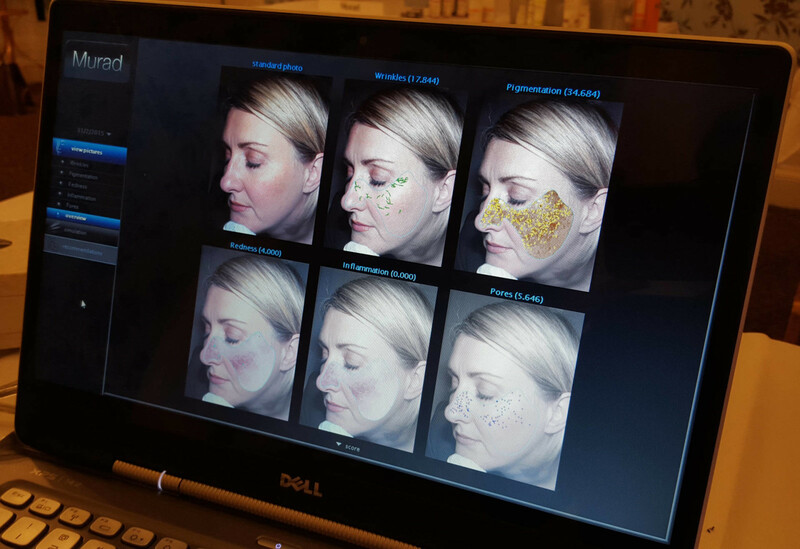 Keeping an open mind, it was a good start learning that the products were developed by Dr Murad, a dermatologist, for his clients as a direct response to their individual skincare needs. Having my skin analysed via the Murad Youthcam, I was told it was in pretty good shape, great to hear given all the sunbeds and excessive sun bathing of my youth. The analysis gives a glimpse into the future, projecting what my skin might look like in 5 – 10 years time if I did nothing to protect it. It wasn’t that much of a surprise, in ten years time I’ll be 50 and won’t look like a teenager. But it did make me consider a better beauty routine. 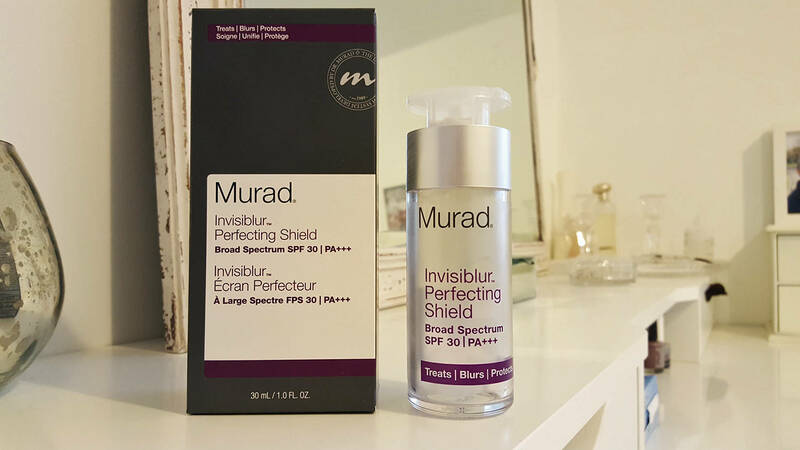 Step in the Murad Invisiblur Perfecting Shield. I’ve been using this product for about 2 months now and I absolutely adore it. The texture is gorgeous, it basically is a one-stop product to “replace your treatment, primer and SPF” whilst “immediately blurring and correcting whilst combating the signs of ageing”. I always use it over my facial oil (once that has had some time to sink in) and I do notice a slight smoothing of the pores and the texture of my face. Knowing it is SPF 30 is one of the best things about this product as I’ve always had trouble finding a nice moisturiser that doesn’t irritate my face with a high SPF factor. But slight blurring and SPF aside, the thing that I really love most about Inivisiblur is that my make-up stays put all day long when I use it. It just seems to cling to my face and there’s no need for top ups throughout the day. The product isn’t an everyday buy. At £55 it’s expensive compared to many high street brand products. But that’s the thing, it isn’t just another high street product that goes to waste. I use this everyday. I think I’ll get 4 months out of one tube, so at £12.50 per month (and saving money on not buying a primer and SPF moisuriser) it’s one I am definitely sticking with. Next Post Walk here: Druridge Bay to Amble, Northumberland.